Summary: This essays is about true devotion and the qualities of a true devotee according to the Bhagavadgita, Srimad Bhagavatam and teachings of great devotees. In the context of Hinduism, devotion (bhakti) means to become consumed by anything that you deeply love and cherish. Generally, it is the intense love for God or any of his actions and manifestations. Bhokta is the one who eats or consumes. In this context, it is God. Bhakta is the one who is eaten, and bhakti is the act of offering oneself as a sacrifice to the Bhokta. Thus, the idea of Bhakti is rooted in the traditional, Vedic sacrifices, in which the worshippers make various sacrificial offerings to the deities, which in the earlier days often included both animals and humans. The idea of self-sacrifice for liberation or to appease a deity was also prevalent in ancient India. Probably, such early beliefs must have given rise to the practice of Bhakti as an important aspect of divine worship. Devotion is an expression of self-giving and surrender to an object of veneration, which may be God, a spiritual person, a demigod, an ancestor, or even a person of eminence such as a king or a sage. Human devotion is not confined to religious objects only. People are consumed by many things in their lives. Some are devoted to their passion for worldly pleasures, some to evil habits, some to success, wealth, status, name, fame or the love of someone, and some to a greater cause such as the love of their country or their religion. Then, there are people who are consumed by their devotion to God. They become so engrossed in it that they do not remember anything, nor care for anything, to the extent that they forget their own welfare. Thus, bhakti is the ultimate or the highest sacrifice you make in life, where you put something other than you before you and pursue it with great dedication and determination. That something becomes more important than anything else in your life. Sometimes it burns you, sometimes it elevates you and sometimes it transforms you for the better or worse. When such devotion is tinged with personal desire, egoism and ambition, it may not do you much good. However, if it is pure and selfless, chances are it will set you free. Of all the devotions, devotion to God is the highest. Even in that there are grades. 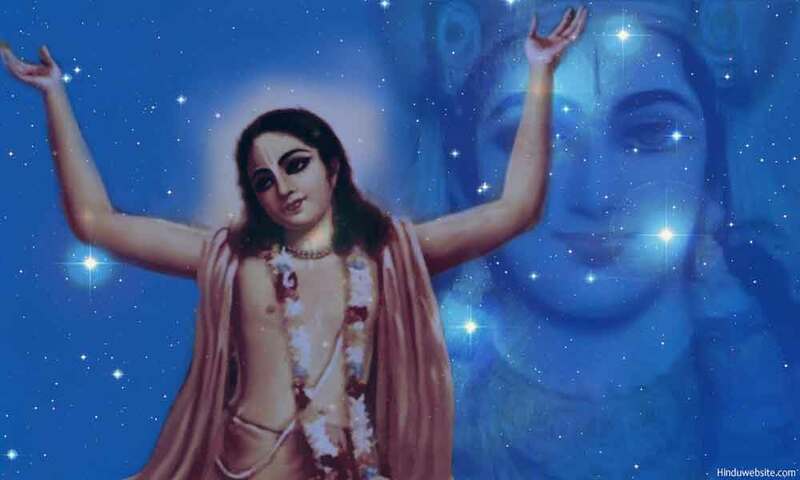 For example, in the Bhagavadgita (7.16), Lord Krishna lists four types of devotees who worship him, “Unhappy and distressed people, the curious and inquisitive ones, seekers of material wealth and knowers of the Self.” Of them, the knower of the Self, who is always self-absorbed with single minded devotion to God and who dearly loves him,” is supremely dearer him. Desire-ridden devotion is inferior just as desire-ridden actions are. It does not set you free, but creates karma and binds you to the cycle of births and deaths. If you have noticed, in the Bhagavadgita the reference to Bhakti yoga comes in the third part of the scripture, after jnanayoga, karma yoga, karma sanyasa yoga, buddhi yoga and atma samyama yoga have been discussed, and after the greatness of the imperishable Brahman has been described in the eighth chapter. What it implies is that bhakti is the culmination of all other yogas. It is the outcome of a sweeping inner transformation in which selfishness leads to selflessness, attachment to detachment, egoism to self-awareness and impure mental modifications to pure devotion. The notion is supported by many traditional schools of Hinduism, especially the Vishistadvaita school. It suggests that the path of devotion is a serious spiritual practice and the most difficult of all spiritual paths since pure devotion arises in the heart of a devotee with the flowering of knowledge and the predominance of sattva. Both require serious spiritual effort to cultivate virtue, character, integrity, discipline, dutifulness, selflessness, detachment, dispassion, equanimity, moral purity, resolve and unwavering faith. Most people are familiar with simple devotion, which they express before deities. It should not be misconstrued as the pure devotion of a truly sattvic person. Going to a few temples, worshipping God in the house, visiting a few sacred places, participating in religious gatherings and devotional singing constitute the early phases of devotional practice. It has its own advantages since there is no loss on the path and even a little devotion to God is much better than having no devotion at all. However, from the perspective of liberation, it must be construed as a mere stepping stone or a preparatory phase. True devotion must be free from the impurities of gunas and egoism. There must be a corresponding inner transformation and predominance of sattva for the devotion to blossom into true love as the outpouring of a pure heart in which the devotee experiences deep devotional fervor and a feverish longing for the divine. In the heart and mind of a true devotee, there is no place for anything other than God. He is not devoted to God because He wants to make use of Him for his personal or selfish desires, nor to show off his power or wealth. True devotion is a straight and simple practice, which ordinary people cannot practice without adequate effort and preparation. It is the soul’s aspiration to return to its source and unite with the Supreme Self. The Bhagavadgita enumerates the qualities of a true devotee, which are listed below. He is free from hatred and ill will. Hence, he is equal to friend and foe. It may be noted from the above that the predominant qualities of a devotee are devotion, purity, equanimity, sameness, selflessness, innocence, resolve, faith, surrender, detachment and renunciation. A true devotee, according to the Bhagavadgita worships God because he loves Him and cannot live without the thought of Him. He is devoted to Him because he cannot think of anything else other than God. His surrender is pure and complete so that he does not do anything for himself but for the sake of God and as an offering to him. His devotion expresses itself in his words and actions. His identification with God is so complete that his life does not belong to him but to God, and he cares for no opinion or belief other than what he believes to be the word of God. Similar qualities are enumerated in the Bhagavatam also. For example, in the second chapter (2.1.5) of the scripture, Sukhadeva advises King Pariskshit how a devotee should render devotional service to God. He states that a devotee should take refuge in a genuine guru, receive initiation from him, serve him well, inquire and learn from him about devotion, follow the footsteps of spiritual and saintly people who are devoted to the service of God, must be ready to give up all types of enjoyment and suffer from all types of miseries, should live in places where God lived before in human form, be satisfied with whatever God gives or wills, fast on auspicious occasions and show respect to devotees, cows, and sacred trees. How should one practice devotional service? The answer is also found in the same scripture. They are, hearing about God, chanting his names, remembering him, worshipping him, praying to him, serving him, acting as his servant, being friendly towards him, offering everything to him, dancing before him, singing before him, communicating his thoughts to him, offering him his respects, standing up and showing respect to him and his devotees, visiting his temples, circumambulating the temples, reciting prayers and hymns in his honor, singing kritans and bhajans, worshipping him with incense and flowers, offering sacrificial food, accepting the remains of the food offered to God (prasadam), attending ritual worship (Aarti puja), and so on. It is also helpful to live in the company of devotees who have the same attitude and devotion to the deity or seek their friendship and association (satsang). Acquiring the knowledge of scriptures such as the Bhagavadgita and the Puranas is also helpful. Many people exemplified these qualities in the past. They are difficult to cultivate but not impossible. The lives of Hanuman, the Alvars and Nayanars of southern India, Chaitanya, Goswami, Vallabhacharya, Meera Bai, Kabir, Tulsi Das, Tukaram and Sri Ramakrishna are a few examples of perfect devotion and pure faith. Their lives prove that with effort, faith and discipline, human beings can transcend their limitations and reach out to God through their efforts, expressing their devotion through acts of self-negation and self-surrender and obliterating all mental and emotional barriers induced by their egoistic cravings and desire to possess the world. In other religions like Christianity also, in the lives of exemplary people like Saint Therese of Lisieux, one see the true power of devotion and its healing, transforming and transcendental quality when it is wrought in the furnace of suffering, virtue and faith. In many cases suffering leads to devotion and devotion may often cause suffering when a devotee experiences the pangs of separation from the deity he or she loves.